Just as ball peen hammers and a sledgehammer do roughly the same sorts of things, but in different situations, a cordless drill and an impact driver are needed for doing similar sorts of things in jobs at different ends of the spectrum. You might be wondering: What is an impact driver? What is the difference between impact driver and drill/driver options? Do I need one if I already have a cordless drill? The answers to these questions are best answered by a comparison of a regular drill and an impact driver. Impact Driver vs. Drill - What's the Difference? When Do You Need a Cordless Impact Driver? Are Impact Drivers Worth it? Impact Driver vs. Drill – What’s the Difference? Traditional drills offer lower rotational torque. Impact drivers use a combination of that higher torque with a fast-paced rotational strike–but don’t confuse this with a hammer drill, which delivers strikes from the rear to help the bit power through hard materials such as concrete. The rotational strikes help to nudge fasteners along while preventing the screw tip from spinning out of the grooves in the fastener. This might be more easily pictured as a wrench firmly placed onto a bolt with a hammer bumping it to add extra power as the bolt is turned. Another example is when you use a traditional drill and hit a patch of hard going trying to drive the fastener in. When it comes time to add the extra muscle, you might begin to release and resume the drilling to give more impetus to the motion. The impact driver does this, but at speeds of approximately 50 of those release-resumes per second. It’s fast enough to not be an overly bumpy process, but it is a loud one. Ear protection is recommended with impact drivers. ference between impact driver and drill can also be found in the clutch. The impact driver lacks one, which makes it much shorter and capable of fitting into spaces a traditional drill wouldn’t have a chance of managing. It also limits the bits that the impact driver can take, and the ease with which it can take them. Ultimately, though, you need the traditional tool when it comes time for a more delicate touch and a precise one, whereas the impact drill comes into play where muscle is truly needed and additional torque can drive long sheet rock screws, be found in tasks like cabinet installation, shop furniture construction, theater set construction, deck building, or framing anything with dimensional lumber. This Dewalt-made cordless drill is among the most reliable and versatile on the market – but is it really the best cordless drill? The world-renowned name lets you know you’re in for a good experience, and the 3-year warranty lets you know the company has confidence in the product they’re putting forth. The DCD795D2 is especially versatile in that you can switch it from regular drill mode to hammer mode, which means it can do all the work of a traditional drill and, with the clutch adjustment dial, can be set to hammer function and be turned loose on concrete and other masonry. Its construction is light weight, which means you can have a one-handed grip on the drill for those jobs that are out of easy reach. Twisting at an odd angle or clinging to a ladder can make handling a heavy drill, that is meant to be used two-handed, a brutal proposition. In fact, the biggest and main drawback of this Dewalt is its price. Still, there is a certain element of having to pay for the quality you receive, and you get quite a lot of quality with this multi-purpose weapon in the handy arsenal for projects. This model features Dewalt’s brushless motor which can produce up to fifty-seven percent greater run time than its brushed counterpart, a vast advantage. The XR Li-Ion battery type with fuel gauge provides thirty-three percent more capacity over their standard rivals, and two batteries are included. It’s light and compact at 3.6 pounds and 7.8 inches from its tip to its back. It fits into tight, awkward spaces well, and does a solid job once it’s in there, with two speed settings in the high speed transmission–from zero to six hundred and from zero to two thousand RPM. When using the Hammer function, the BPM is zero to thirty-four thousand. The metal half inch ratcheting chuck provides superior strength grips on bits. Also featured on this unit is an LED light that has a twenty second delay when the trigger is released, providing visibility in dark and tight spaces, placed on the tool so as to eliminate shadows from the chuck. This question, among others, are common when the subject of drill vs driver or how to use an impact driver arises. Remember that an impact driver uses a different mechanism in driving the bit than a traditional drill, and can only use hex-shanked bits. The answer is, when you’re using softer woods, you need the lighter touch and finesse of a traditional cordless drill/driver. For harder woods, concrete, masonry, and especially long fasteners being worked into heavy materials, you want an impact driver. You also need bits intended for an impact driver, as they are hardened enough to endure the rigors of the driving force in its use. Can an Impact Driver Remove Lug Nuts? The technical answer here is: yes. Unfortunately, because of real-world conditions and changes over time, the practical answer is: no. This is because of two factors. One is that the force required is barely handled at the high end of most impact drivers’ torque ranges. The other is that factors such as over-tightening, rust, and other weathering conditions can cause nuts to require much more force to loosen than is intended by the manufacturer. Can an Impact Driver Replace a Traditional Drill/Driver? No. Sometimes the brute force of an impact driver is simply uncalled-for; sometimes it will be downright detrimental. You can rip your materials to pieces if you use gorilla strength where a feather touch is called for. The traditional cordless drill is also one of the most popular tools in every kit and with good reason. Its versatility is beyond compare. It can drill holes and insert fasteners, the keyless chuck accepts varying sizes and types of hex- and round-shape drill bits and driving bits as well as rotary sanders, hole saws, wire-wheel brushes, and other accessories. They are also equipped with slip clutches that allow for precise control of torque for consistent screw driving. 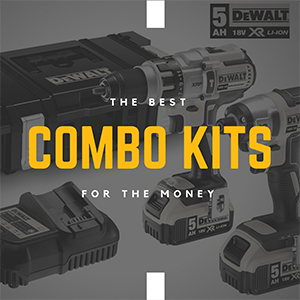 Again, Dewalt comes out with a product worthy of its wide-spread name, and with another 3-year warranty to show their confidence in their product. As job sites are coming up with an ever-growing demand for the strong and steady impact driver, this model was produced as an answer – but is it the best impact driver? The 20V MAX line of Dewalt’s cordless tools offers better performance, more innovation, and improved ergonomics when compared to the 18V cordless line. This model comes with a slim battery, a quick charger to make sure it is rapidly ready to reuse when eventually it does run out, and a heavy-duty carry case to keep it all together. Plenty of power is packed into one of the most compact platforms in the industry, and it’s extremely easy to maneuver it into the tightest of work spaces. As mentioned, this product is supremely compact, at 2.8 pounds in weight and 5.55 inches in length of head from tip to back. Its torque is 1400 in-lb, provided by a powerful 20-volt motor, to drive through tough woods and tougher stone, concrete and masonry. As for RPM, it delivers up to 2,800 and 3,200 for efficient, fast work in a variety of fastening applications. The battery cell type is Lithium Ion, twenty volts. The speed is variable according to how much pressure is placed on the trigger. It has an anvil-type quick release, and one-handed bit loading. The quarter-inch hex chuck will accept one inch bit tips.The built-in LED lights with their twenty second post-release delay helps shed light on projects. It has minimal kickback for less chance of fatigue and reduced events of stripped screws. 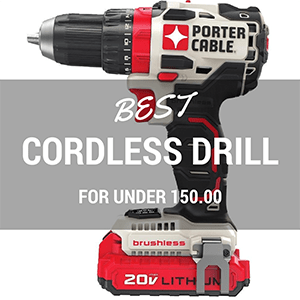 While they cannot do everything a traditional cordless drill and driver combination can do, cordless impact drivers are clearly worth their salt and deserving of a place of honor on the tool shelf. Their impressive strength means they step in when a traditional drill/driver can’t step up to the requirements. Their more compact size means that they fit into spaces the more ungainly traditional drill simply cannot. Just as different sized screws are needed to hold together different types of projects, the different types of drivers are necessary to put those different screws in different types of surfaces. It is simply a matter of having the right tool for the job. In many cases, that tool is the cordless impact driver.